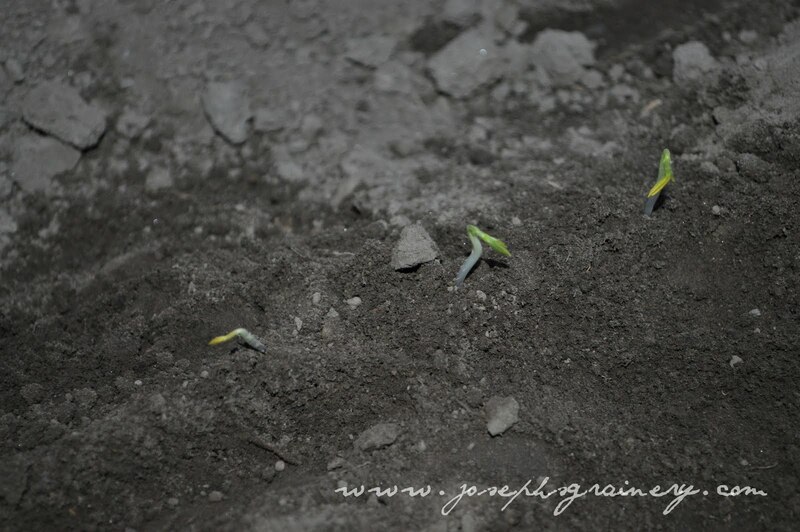 Joseph's Grainery: Joseph's Grainery Lentils Have Sprouted! Joseph's Grainery Lentils Have Sprouted! Our lentils were the last thing we seeded this Spring. They are just getting started even though they are a little late. Who knows...perhaps next Fall you will have some lentil & sausage soup with some of the lentils these little guys will produce.